The TeamBuildr platform offers coaches & trainers the opportunity to put training programs online for sale for a monthly fee. Our pricing is designed to grow with your business. The better you do, the better we do. That's how great partnerships are built. Our app automates 1RM tracking for calculations for smooth workout delivery. Create custom registration and payment portals for your programs without any manual work. From the time a contract is signed, it takes about 2 weeks to setup a launch. Often times it depends on how fast you can develop your programs, pricing, and other logistics. Does the custom app mean I am able to have my own app in the app store? With the $4 and $6 per use pricing, you can have custom branded app on the inside but your users will still search the app store for "TeamBuildr." However, we do offer the ability to launch your own custom app into the app store for a monthly fee. How do you manage payments, coupons and pricing? We have integrated with Stripe.com - a leader in online payment management - to create a custom payment management system where you can choose your price, frequency and even custom discount codes. You gotta commit! Our contract is a minimum one year commitment. How much can I charge for my programs? Anything you want! We charge a flat monthly rate based on how many paying users you have. Additionally, you can charge for your programs monthly or upfront. Can I provide add ons for things like nutrition, 1:1 coaching, video assessment, etc.? Yes! With the Premium price plan. How does TeamBuildr get paid? At the end of each month, we tally up your users and either send an invoice or charge your credit card on file with us. 3. We'll send a checklist to get started! TeamBuildr has been our technology partner in delivering programming from the beginning. 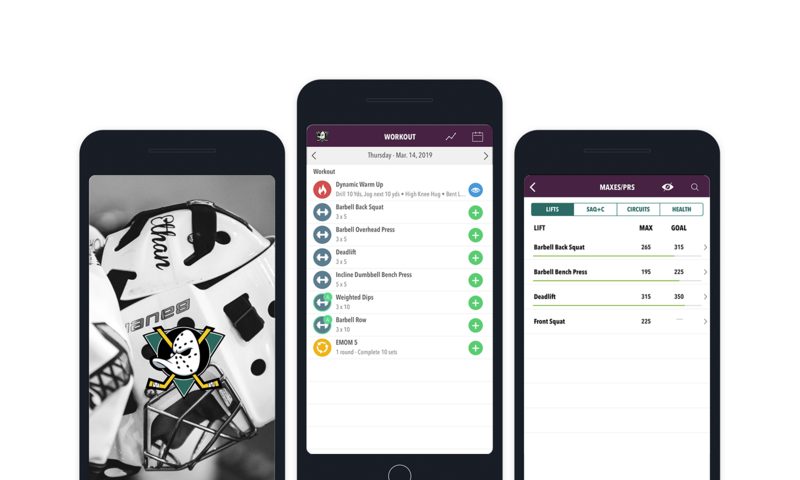 I switched to TeamBuildr when I saw they could accommodate detailed strength training programs. We started from scratch & needed an affordable tool that provided a quality experience. That's TeamBuildr. Limit signups with "access periods"